Your child is a college student, and you’ve successfully packed them up, moved them in, made several trips to Bed Bath & Beyond, and they’ve settled into their class schedule for the new year – you can finally breathe a sigh of relief, you’ve covered it all. Or have you? How about the skills necessary not to blow whatever budgetary limits that have been set for the first semester? It’s not an easy maneuver to accomplish. The skills your child probably has to manage their own money are most likely the ones you’ve (hopefully) taught them. And they may not have picked up as much as you think. 75% of parents say they’re having regular conversations with their kids about money, but only about 60% of kids say the same. Some colleges will provide you with guidelines of how much spending money to give your kids. Northwestern University, for example, says about $2,000 will be sufficient for the 2014-2015 academic year, while the University of Arizona says $1,800 (not including books). Stretching those dollars, however, will be hard for kids who aren’t used to paying for their own pizza, let alone laundry and shampoo. It’s important to develop a basic list of what money will likely be used for – and how much those things cost, to make sure actual expenditures fall in line with these estimates. Richard Barrington, senior financial analyst for MoneyRates.com, also suggests doling the money out slowly – say a month at a time — and for specific purposes. The student ID card gets you into the library and the dining hall. And it’s essentially a prepaid debit card, as well. Parents can put money on an account and students use that money for food, copies or whatever other campus services they need. What’s good about these cards is that you (and your student) have the ability to check what the balance is at any time. And, because the amount on tap is capped, there’s not the same risk you’d have if you handed your child a credit card (more on that in a moment). Talk about the card with your child so they can prevent spending all the money on the card right away. Although it may seem more convenient to have your child bank at the same institution you do – so that you can transfer funds into his or her account in the event of a shortfall – it may also prove to be more expensive. The Achilles heel of the college student when it comes to banking is the $3 a pop (or more) ATM fee at the campus or other local ATM. Unless your child has an account and card with one of those, these ATM charges can add up. Be sure to investigate the banking situation – does your current institution offer Online Banking with a mobile app and remote deposit? This may be another great, easy alternative for your student at college. A free first box of checks, and an allowance of the first mistake being free+. Free phone transfers to the account by parents. No per-check charges – unlimited check writing without getting charged after writing a certain amount of checks. No monthly service charge for having the account. A personalized Debit Card issued instantly in one of our Monmouth or Ocean County branches. Free Online Banking with Bill Pay++. Since the passage of The Credit CARD Act in 2009, kids under 21 are not supposed to be issued credit cards of their own unless they have either income to support their spending or a co-signer. But the credit scores of millennials have also suffered as a result. If you want your child to have credit on hand for either emergencies or regular usage and/or build a credit history while in college, the best way to go about it is to add your child to one of your accounts as an authorized user. Make sure the card you choose actually will report on the child’s behalf to the credit bureaus. Nearly 25% of college students now also have prepaid cards in their wallets. This might solve the budgeting/emergency problem, but not the credit score issue – as prepaid card history isn’t reported to the credit bureaus. The money they’re undoubtedly going to spend on a college campus – like anywhere else – looks far more valuable when they’ve actually earned it. If there’s room in your child’s schedule, it might be a good idea to investigate a part-time job that’s manageable. 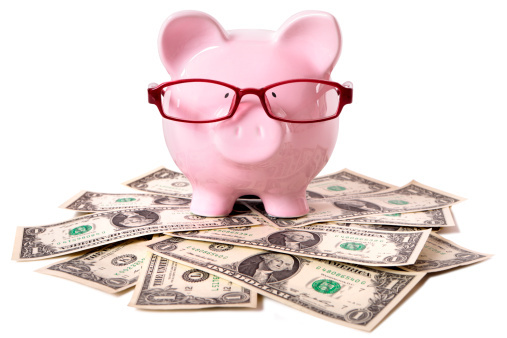 *A $5 deposit in a base savings account is required for credit union membership prior to opening any other account. All personal memberships are part of the Rewards First program and a $5 per month non-participation fee is charged to the base savings account for memberships not meeting the minimum requirements of the Bronze Tier. Click here to view full Rewards First program details, and here to view the Tier Level Comparison Chart. Accounts for children age 13 and under are excluded from this program.